many of my favorite ingredients. Since trying Chai Poached Pears I have fallen completly in love with poaching pears. They taste great with everything from cakes to breakfast oats. They are easy to make and make every dessert look a bit more special. 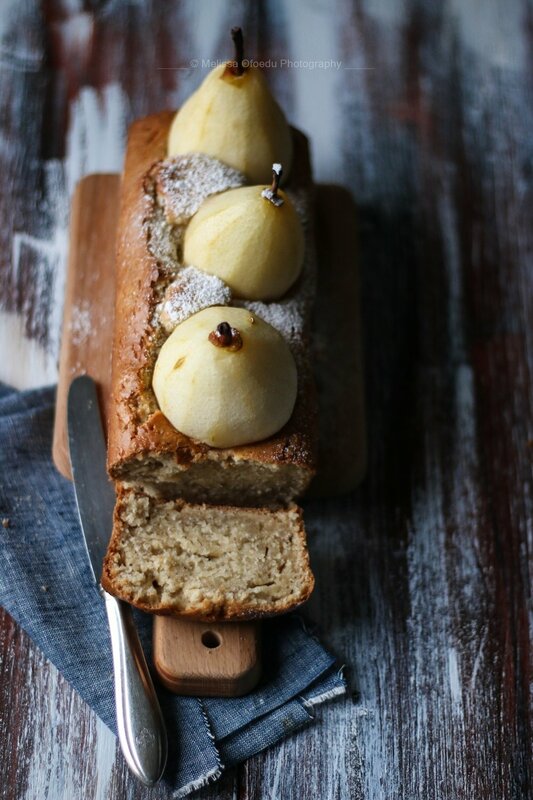 This time I opted for Orange Blossom poached Pears and must warn you that this variation is only something for those of you who like experimenting. 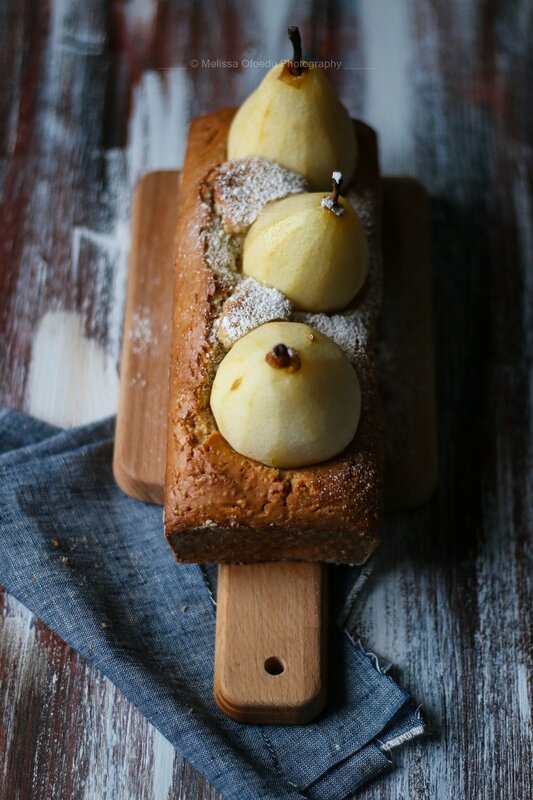 A simple Chia loaf with Oramge Blossom poached pears that give this simple recipe a little bit of a special feeling. Bring the Orange Blossom Water mixed with some additionl sparkling water to a boil. Add the pealed Pears and boil them for about 15 Minutes or until soft.